The Alumni Book Club will meet on Monday, March 26, 2018. We will meet at 7:00pm at Galway Arms (2442 N Clark Street). 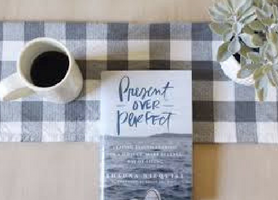 As part of the ND Women Connect Spring 2018 Shared Read, the book selection is “Present Over Perfect: Leaving Behind Frantic for a Simpler, More Soulful Way of Living” by Shauna Niequist.